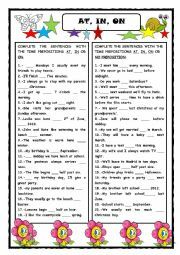 a quick and easy revision of TIME PREPOSITIONS: an, in, on & no preposition. 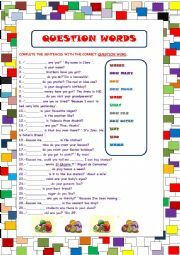 Hope it is useful! a nice ws to revise the vb. TO BE and the auxiliaries DO,DOES. Hope yoy like it!!!! 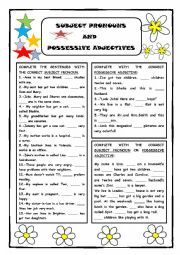 Subject Pronouns and Possessive Adjs. 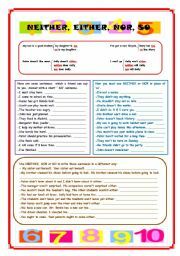 a ws to revise subject pronouns and possessive adjs. Hope you like it. 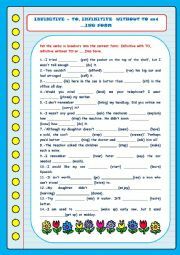 An explanation and exercises to revise the quantifiers so, such, such a(n),so many & su much. Hope you like it!! Thanks to Zailda for the template! 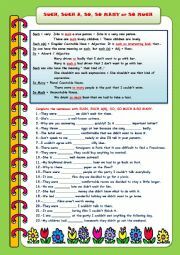 A ws ro revise verbs followed by infinitive + TO,infinitive without TO, and gerunds. Hope you like it. Thanks to PhilipR for the template. 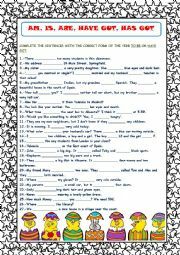 Another ws I�ve prepared for my elementary students to revise question words during their Easter holidays. a ws. 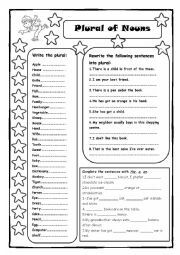 to revise the plural of nouns and the articles a, an, & the. Hope you like it!!! Nice Sunday!!! 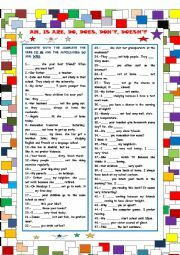 an easy ws for my elementary students to revise the verb to be & have got during the Easter holidays.Hope it is useful!